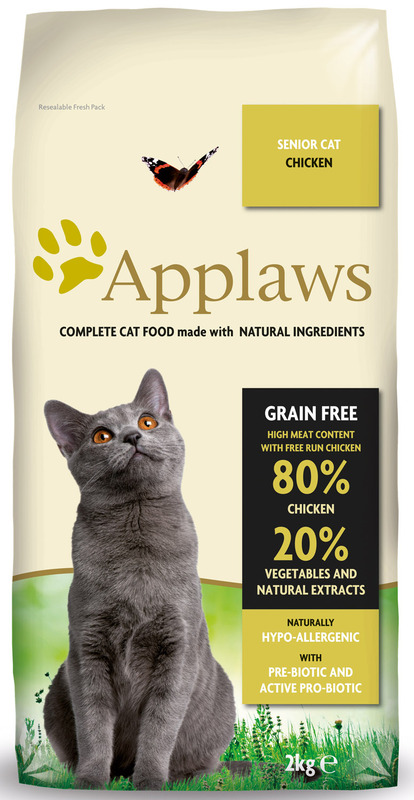 Applaws Natural Senior Chicken is a grain free cat food which contains an 80% chicken content, with no added fillers or additives. It is cereal free and naturally preserved with Vitamin E and Rosemary oil. Added cranberry extracts are also included to help maintain a healthy urinary tract. There are currently no questions for Applaws Natural Senior Chicken Dry Cat Food - be the first to ask one!